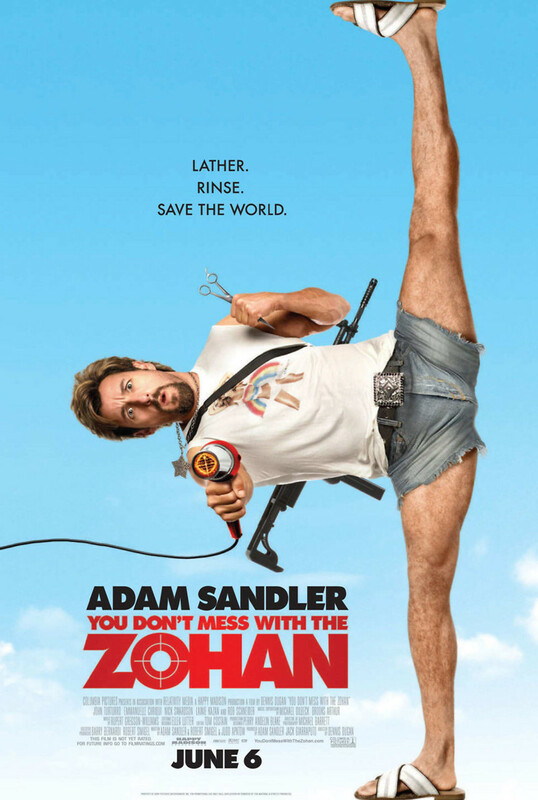 Zohan Dvir, a special agent who lives with his parents in Israel, has a life full of danger, but he wants to give it up and move away from all of his conflicts with the Palestinians. So during a mission to capture Phantom, a Palestinian activist, Zohan fakes his own death, gets on a plane by hiding in a dog kennel, and tries to live his life in New York City as a hair-stylist. His plan doesn't start off too well, as he gets rejected by multiple hair salons in the city, but he finally gets a job when he offers to work for free, and Dahlia hires him. He starts off as a cleaner, but works his way up to a hair-stylist after one of the old hair-stylists leaves, and soon becomes a local favorite. He falls in love with Dahlia and contemplates asking her to marry him, but trouble soon arises when the landlord hires skinheads to frighten the local tenants, creating discourse between the different groups in the neighborhood. Zohan puts himself at the forefront, and looks to fix this problem that he tried to run away from.